Call us to discuss taking advantage of a beautiful nursery setting for your next event! Monday - Friday: 9 a.m. to 7 p.m • Saturday & Sunday: 9 a.m. to 5 p.m. Copyright 2019 by Puritas Nursery & Garden Center. All rights reserved. Stop in and browse our Way Cool Fall Sales celebrating our cooler autumn weather. 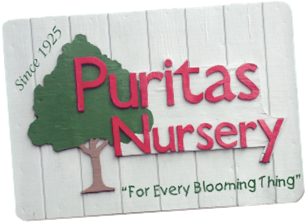 Check back here often for all the current nursery news and specials! We were proud to be voted BEST GARDEN CENTER by Cleveland HOTLIST. Voters had more than 10 highly qualified nominees to choose from and we are so appreciative of all our wonderful customers and neighborhood friends who supported us! Click the logo at left to visit the HOTLIST web page. Be Sure to Visit our Galleries Page for Holiday Trains Photos! Click HERE for a 2019 Early Bird Specials Coupon Flyer! We are busy getting our spring seedlings started! We are one of the last growing greenhouses! Now is the best time to stop in to discuss and plan for your spring time planting and landscaping needs! Pansys and Cold Crop Veggies are available and ready to plant NOW! !